ACS students are the Scholastic Summer Reading Challenge champs for the 5th consecutive year! 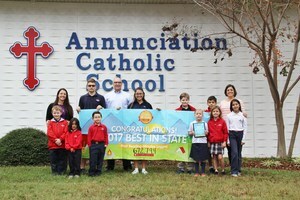 ACS is the top school in the state for the fifth year in a row in the Scholastic Summer Reading Challenge. Our students rock! Overall, our school logged 672,794 reading minutes and finished in the top 40 worldwide. We are so proud of our students, and all of their hard work! Just because summer is over, doesn't mean you should stop reading. Keep up the good work! 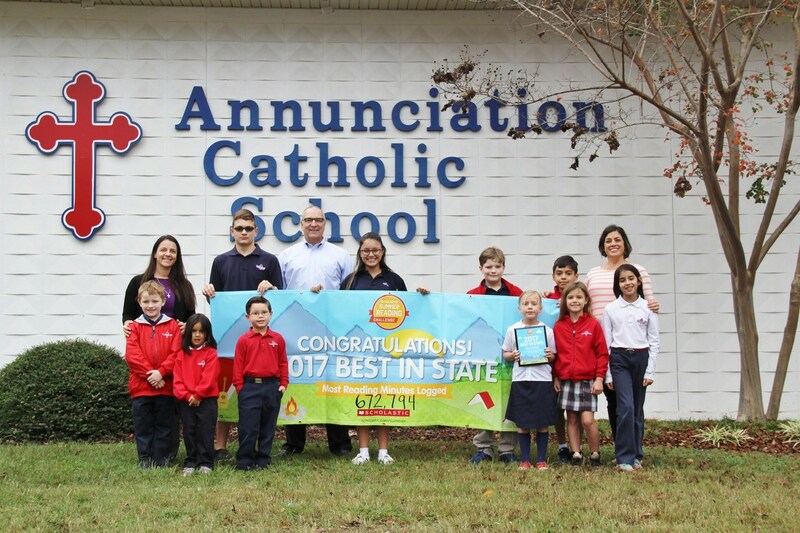 Representatives from Scholastic visited our campus on November 8th to present us with our official award plaque and banner. A huge thank you goes out to our librarian, Mrs. Doumit, for coordinating this program every year. We were feature in the local paper for this accomplishment. Click here to read the story!